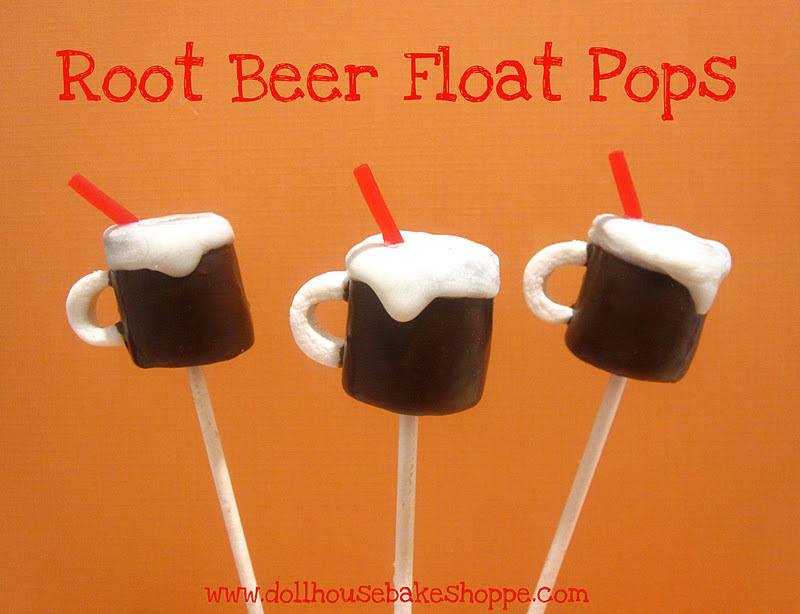 Today is National Root Beer Float Day! 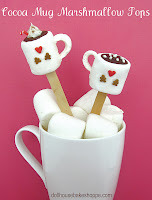 To celebrate I made some adorable little root beer floats in a frosty mug, out of marshmallows and chocolate! 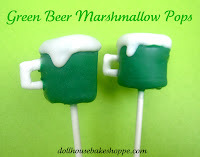 I was inspired to make this tutorial after all the great reactions to my Green Beer Pops for St. Patrick's Day and my Mug o' Beer Pops I made for Father's Day. So here is the kid friendly version, with a straw and everything! Push the lollipop stick through the flat side of the marshmallow (make sure not to poke it all the way through). 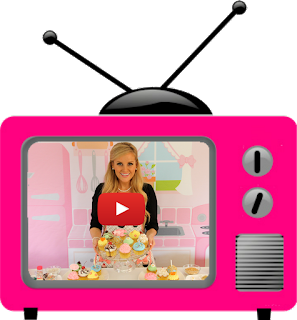 Prepare handles by slicing off the end of a jumbo marshmallow, cut it in half and punch out the center, creating a "C" shape. 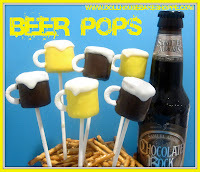 Once the chocolate coating has dried, dip the top of the pop into your melted white chocolate. Help it "drip" down the side of the mug to make it look more authentic. Cut pieces of red licorice rope or Twizzlers into about 1/4" pieces and attach them to the top of the mug with melted white chocolate. Let dry and set. Once dry, individually wrap your pops in clear plastic bags for a party favor, or you can create a display for your pops. To create a display that your pops can stand upright in, take a block of Styrofoam and wrap it in festive wrapping paper or tissue paper. Push the bottom of each stick into the styrofoam for guests to easily grab and enjoy.